LexisNexis® 2011 Practice Management Annual Client Conference | Strategies to Mobilize Your Practice & Power Your Profits! Register today for two full days of sessions filled with valuable product information, practice management insight and the newest technology. It’s an exclusive opportunity to learn firsthand from LexisNexis® product experts and peers alike, the latest techniques and best practices to help you build your skills—and your business. Click to view the agenda. Our keynote speaker is Nicole Black, social media and legal expert. Nicole Black, founder of lawtechTalk and co-author of Social Media for Lawyers: The Next Frontier, will be discussing how emerging technologies and innovations are changing the way business is conducted in the legal industry. Take advantage of the new Business Partner Track and engage in the latest thought leadership sessions. Set your business up for success with our innovative and successful strategies for marketing and growing your practice—everything from utilizing social media to implementing an effective succession plan. We’ve expanded and realigned the products tracks with training and presentation for every skill level. So every workshop, every lesson, every presentation pinpoints practice management solutions customized to your specific needs. Listen to what attendees of previous conferences are saying. Visit our Why Attend information page. 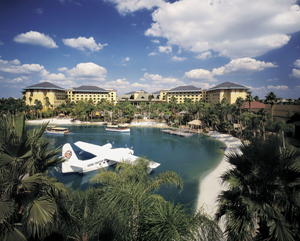 Loews Royal Pacific Resort is a world-class destination. The perfect place to share ideas and insights with your peers—and unwind after each day’s sessions. And you’re in Orlando so there’s fun and excitement available for the whole family. A limited number of hotel rooms at the Loews Royal Pacific Hotel have been blocked for this meeting at the special discounted rate of $139.00 per night if booked by August 21, 2011. Click here for more hotel information or to reserve your room visit the LexisNexis PMAC . Don’t wait—the conference sold out last year. We’re looking forward to seeing you in Orlando! *CLE is in the process of approval. LexisNexis is approved for telephonic/Webinar training on this topic in the following states: Alabama, Alaska, Arizona, California, Florida, Georgia, Kentucky, Maine, Minnesota, Montana, Nevada, New York†, North Dakota, Rhode Island, and Utah (self-study only). †Only experienced (having completed their first 32 hours of CLE) NY attorneys may take telephonic training for CLE. New York regulation requires that all CLE sessions must be conducted by a JD or an attorney in good standing. CLE credit may be offered. Some state restrictions may apply. Contact the LexisNexis® CLE Group for eligibility requirements.